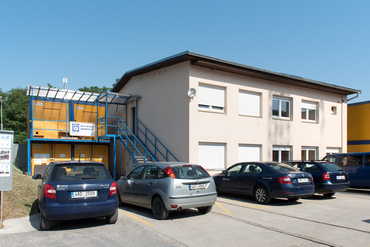 ZÁPY PREMISES – PRŮMSTAV, a.s.
PRŮMSTAV has its own Monolithic Structure Centre within the Prefa Pro premises in Zápy (Brandýs nad Labem), where it offers for corporate and private contracts the services of steel reinforcement bending and cutting workshop, joiner’s shop, locksmith workshop, site bungalow and container rental, freight transport/special mechanization and crane rental. Our steel reinforcement workshop offers you steel cutting and bending. 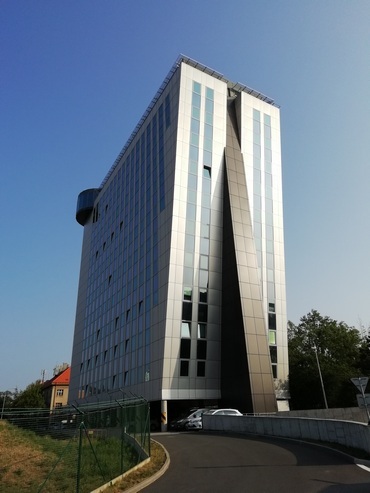 Although we know, how to ensure the delivery of thousand tons (such as for the Central Waste Water Treatment Plant on the Císařský ostrov (Emperor’s Island) in Prague), we kindly encourage you to contact us even with a smaller size project (fence, family house and alike). We would be delighted to carry out everything custom made for you, by cutting and trimming, bending, or, eventually, splicing according to provided data and documents. Our joiners would be glad to manufacture for you any joiner’s products custom made for exterior (garden houses, pergolas) and interior (doors, stairs, guard rails, lining and alike) installation. Our locksmiths would be happy to manufacture metal products custom made for you for exterior (fence, gate) and interior (guard rails, handles) installation. We offer construction site bungalows (individual pieces and sets including stairs) suitable for site equipment, which may serve as an office, meeting room, dressing room, social facility and alike. In addition, we offer construction site containers for construction tools and material storage.